March and April seem to be two of the longest months for North Carolina gardeners. The seed catalogs are discarded. The ordered seeds are either planted in a sunny window or waiting for more consistently warm weather before being spread in the earth. The mornings can be chilly and the afternoons vary daily from cold to cool to warm. This temperature variation makes many gardeners search restlessly for spring plant-oriented activities. March is when I realize that I must work on my indoor potted plants. Many are dominated by leggy stems that have stretched out looking for more sun. Others have lost the fullness that hid the unattractive plastic pot in which they were purchased. Unless I make some changes to beautify these plants, I will have to avert my eyes from their poor state until they transition to outside in May. 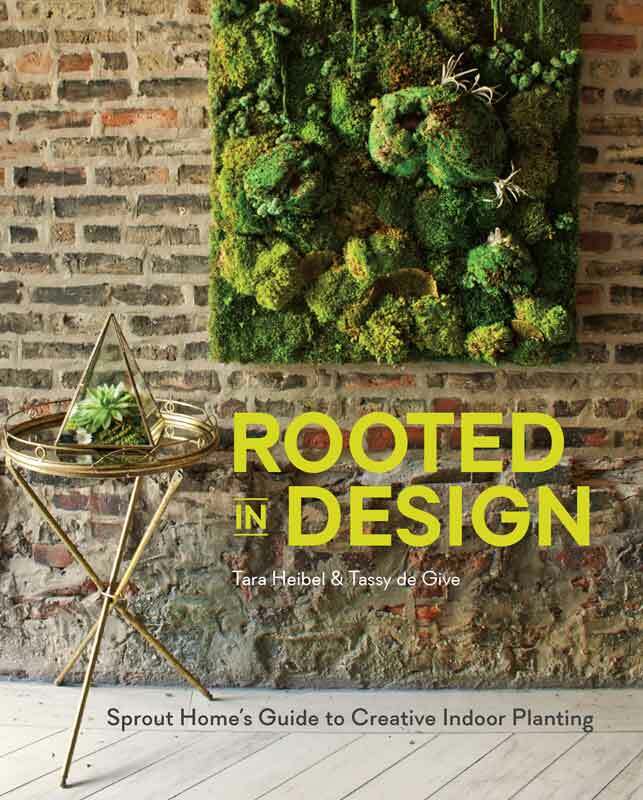 If like me, you need advice on how to better present and choose container plants, read Rooted in Design: Sprout Home’s Guide to Creative Indoor Planting (Ten Speed Press, 2015) by Tara Heibel and Tassy de Give. These authors are partners in Sprout Home gardening store located in Chicago and in Brooklyn. Using ordinary plants available in most nurseries, they instruct how to arrange vegetation in all sorts of interior spaces. Illustrated with lovely photographs, these authors explain how to place plants on walls, on floors, on furniture and in special locations. These authors provide new and attractive design information for the indoor gardener. In early spring I stroll my part-sun/part-shade garden, knowing that the awakening trees will soon turn most of it into a part-shade/shade garden. I am inspired with ideas that require large amounts of shoveling, hoeing, planting and painful consequences to my year-older body. 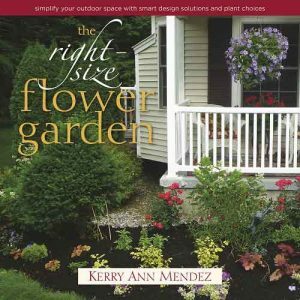 Fortunately, The Right-Size Flower Garden (St. Lynn’s Press, 2015) by Kerry Ann Mendez provides information to minimize these effects. First, Kerry explains how to evaluate your garden to attractively downsize demanding plants. She emphasizes that plants are “not pets or children.” Plants can be discarded without shame. From writing previous books on “the top ten plants” for various conditions, Kerry is experienced in recommending plants that are less strenuous in care and are more attractive. She suggests many hybrids of familiar trees, shrubs, perennials, vines, and ground covers that will thrive under almost every climate limitation. Even maps for composing well-arranged garden beds of these plants are provided. After April’s last frost day, wander happily through a nursery to fill a shopping cart full of plants, keeping your choices to those that will ultimately produce a happier gardener and a more beautiful garden with energy-saving, low-maintenance plants.